Super Greens refers to a collection of green Super Foods including Spirulina, Chlorella, Matcha, Alfalfa, Wheat Grass and Barley Grass. These green Super Foods are excellent sources of nutrition. Because Super Greens are high in vitamins, minerals, phytonutrients, chlorophyll, fiber and antioxidants, they are often used to boost nutrient levels in the body, increase energy levels, cleanse the body, boost the immune system, reduce inflammation, and promote healthy digestion. 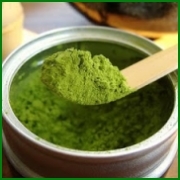 If you would like to read more about Super Greens, checkout out articles on Spirulina, Chlorella, Matcha, Wheat Grass and Barley Grass. Vital Greens truly is a Super Food that contains 76 ingredients that work synergistically to increase energy, cleanse the body, boost nutrient levels, enhance digestion, support the nervous system and support liver function. The main ingredients in Vital Greens are from whole-food sources such as vegetables, herbs, fruits and minerals. Vital Greens includes enzymes, fiber, antioxidants, amino acids, fatty acids, sterols, essential vitamins and minerals, herbs, protein, super greens and pro-biotics, plus MUCH more. Those who do best on Vital Greens are those who do not eat enough vegetables, particularly green vegetables. 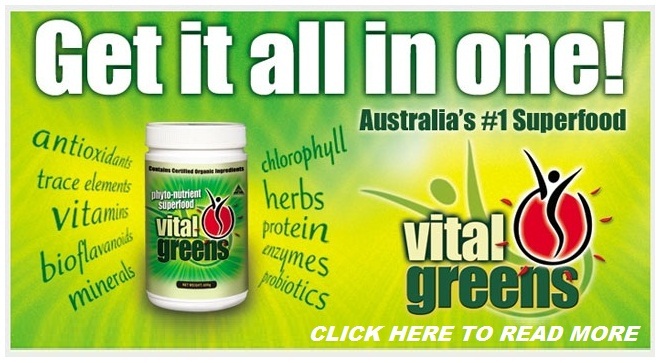 Click here to read more about Vital Greens. We sell the following sizes of Vital Greens: Vital Greens 1kg, Vital Greens 600g, Vital Greens 300g, Vital Greens Sachets, and now Vital Kids. Our modern lifestyle sabotages our diet because we often don’t have the time or the money to buy healthy, organic foods. We usually substitute veggies with fast food, or we simply avoid eating vegetables all together. This compromises our health as we miss out on the essential vitamins, nutrients and fiber that vegetables have to offer. With Super Greens, however, you get vitamins, minerals, fiber, protein and chlorophyll – almost everything you need to ensure your body is healthy! You no longer need to feel guilty about skipping your daily dose of vegetables when you only need to take your daily dose of Super Greens, we could be either Spirulina, Chlorella, Matcha, Wheat Grass and Barley Grass. The benefit of Vital Greens Powder is that it is a blend of 76 healthy ingredients, many of which are Super Foods, such as Spirulina – the main ingredient in Vital Greens. Vital Greens contains most of the major Super Greens in addition to many other ingredients which makes it an excellent all-round product that covers almost everything your body needs to keep healthy and strong. Many people buy several different supplements to ensure their health whereas Vital Greens provides almost everything your body needs in one simple product. Vital greens contains protein, vitamins, minerals, fiber, Super Greens, probiotics, plant sterols, enzymes, herbs, vegetables and fruit.